It was a dominant first up victory recorded by Miss Excess at Bendigo on Sunday, the honest four-year-old travelling nicely back in the field for Clayton Douglas and able to dash clear once finding her feet in the run home. Whilst there was a bit of trouble turning, a split appeared for Miss Excess, one which she was happy to take - racing away to win by an impressive 1 3/4 lengths. "We were sweating on a run a little bit," Douglas reported, "but when the gap presented she sprinted through it quickly and she was very strong through the line." Mitchell was delighted to see Miss Excess win so well, admitting that he did not have her quite right last time in - "she lost her way a little bit as did I with her," he said. "I was training her a bit too hard so this time in we've put a bit of weight on her and changed her training around and it seems to suit her well." Mitchell is looking forward to seeing Miss Excess progress to a higher level - "she has always shown that she'd get to 64 class, even midweek mares grade." The win was a tonic of sorts for the trainer who "copped a bit of a knock on Friday." "I was a bit out of it so thanks to the team at home for making sure everything went smoothly." 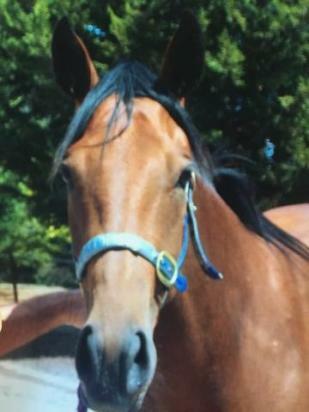 It was win number two for Miss Excess, a daughter of the speedy Kaphero and the city winning Prego mare Preietta.